I recently got a Samsung Gear 2 Neo smart watch – it pairs with recent, powerful Samsung phones and tablets, but without them, it’s basically a pedometer. So I’d definitely only recommend it if you already have one of their recent devices (like the Samsung Galaxy S5 or Note 3 phones), and not if you use an iPhone or a non-Samsung Android phone. I designed a knitting counter for my wife – there are a lot of simple plastic devices (such as this one) that do the same thing. 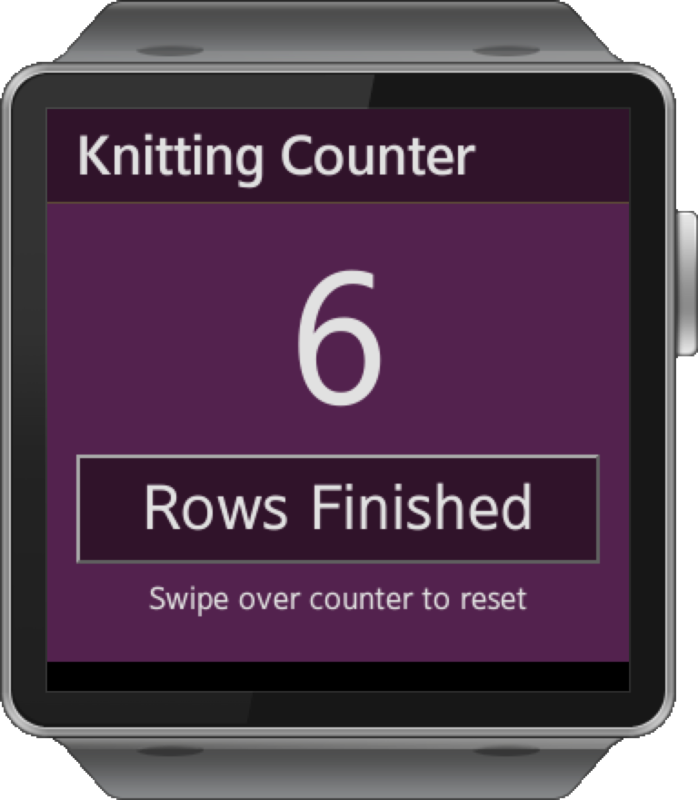 Basically, you can keep track of how many rows you’ve knitted for a project, and then swipe across the number to reset it. The Gear watch supports HTML Touch Events, so I was able to hook into a swipe event to do the reset. I used a swipe gesture because the screen is so small, it’s quite easy to hit the wrong button if you have two on the screen next to each other. My original design had a reset button underneath the “Rows Finished” button, and I ended up hitting the wrong button a lot. With the gesture, it’s a lot harder to make that mistake.